Mix and match our favorite items for St. Patrick’s Day to create a classy outfit. St. Patrick’s Day is fast approaching and with it a day when it is encouraged (in some places, required) to wear green. Although St. Patrick’s Day is not a legal holiday in the United States, it is still a revered day and is observed throughout the country as a celebration of Irish and Irish American culture. Check out how to wear green on St. Patrick’s Day in a fun and unique way. Many wear green and enjoy what some may call activities of pleasure and indulgence. Our editors have found a selection of our favorite accessories that can be worn any day of the year, but especially on March 17. 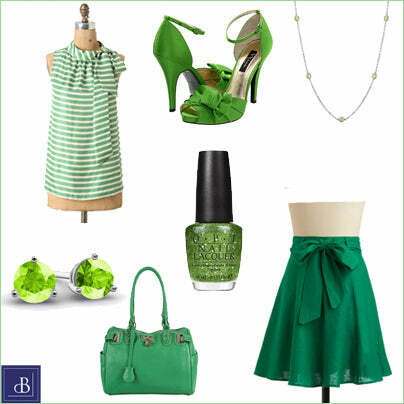 You can mix and match these items to create an appropriate yet fashionable ensemble for St. Patty’s Day. Do you have a favorite item that is a ‘must wear’ on St. Patrick’s Day? Please share it with us as well as our avid readers to help all of us avoid being pinched this year!